Home / disappointing products / duds / makeup / makeup letdowns / "You can say the right thing about a product and nobody will listen. You've got to say it in such a way that people will feel it in their gut. Because if they don't feel it, nothing will happen." "You can say the right thing about a product and nobody will listen. You've got to say it in such a way that people will feel it in their gut. Because if they don't feel it, nothing will happen." We all come across products that are complete duds. You know, the things people rave on and on about and you think, "wow, is this really the best thing since sliced bread?!" Sometimes products live up to the hype, and others don't. Now, what works for some people may not work for others. And my experience with these products are just based on my own opinion. But I thought I'd let you know some of the negatives, just to provide a bit of balance to the scales. 1. Benefit Porefessional: I've done a review of this product before, and didn't mind it. I thought it was very similar to my favourite primer, the Too Faced Primed and Poreless. But the longer I've had the porefessional, the worse the product has become. It's like it has all separated in the tube, and I need to shake and massage it so that a liquidy substance doesn't come running out first. I don't find that it is doing much to minimize my pores now, nor is it controlling the oil. I've gone through probably about 4-5 of the Too Faced tubes and never had this problem. It's really weird. 2. 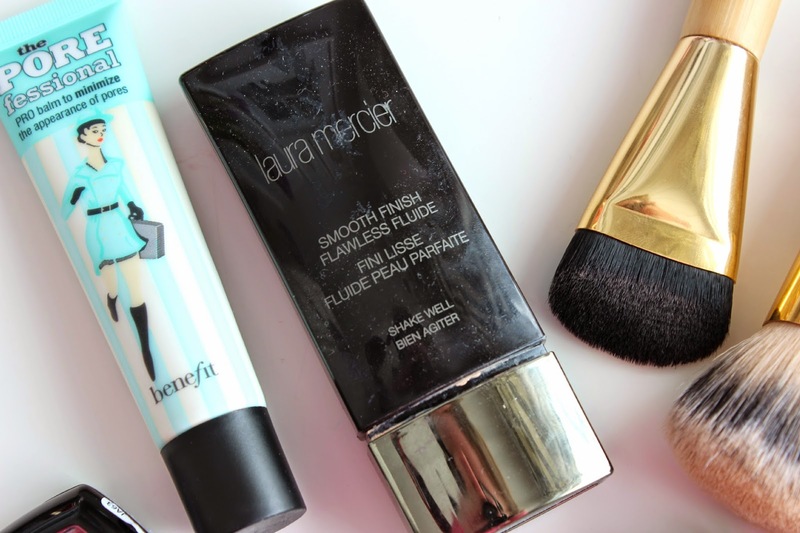 Laura Mercier Smooth Finish Flawless Fluid: It's not horrible, but it's not something I'd recommend either. It has the worst packaging (as you can see, the liquid foundation runs all over the place, and I actually have to store this upside down now). The consistency is very runny, and I find it takes a long time to build it up to a medium coverage. It also oxidizes a bit on me around the jawline during the day. 3. Tarte Brush Set: Around Christmas, Tarte came out with a Brush set that was an amazing price (only $53 for 5 brushes, I believe). The brushes are workable, but they don't make the job easy. I've been using my new Bobbi Brown Full Coverage Face Brush lately, and it's absolutely amazing. The huge foundation brush in the middle does a great job at blending, leaving zero brush stroke lines. But it's too large to get into the contours around your nose and under your eye. It's nice if you need to get your face on quick, but not ideal. This would probably work better for a powder foundation (something I never use). The contour brush confuses the heck out of me. It leaves you with a perfectly straight dense line, and there's no way to really blend it out. The other foundation brush leaves you with a very sheer coverage (not a fan), and I've been using it more as a stippling brush for my cream blushes lately. The eye brushes are decent enough. But there are much better quality brushes on the market. 4. Blinc Mascara: This one is kind of my fault. 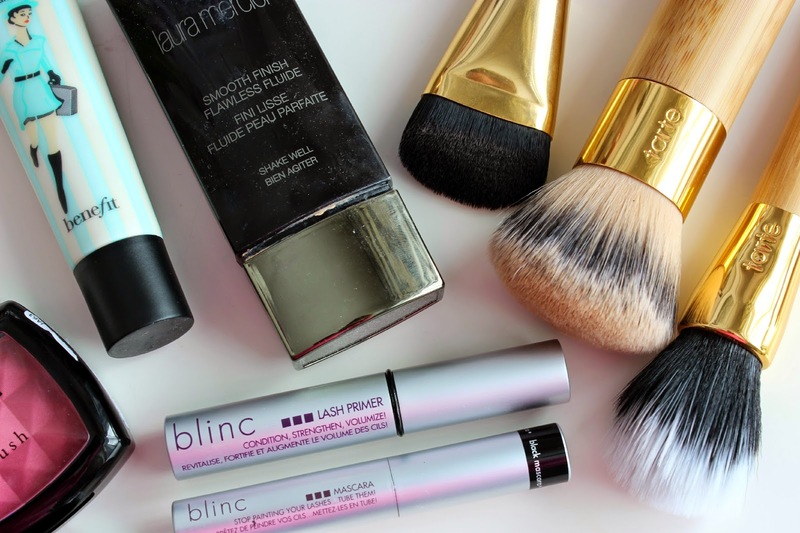 I used the Blinc Amplified Mascara for months and months and absolutely loved it. It made my lashes look so thick and long, lasted all day, and was a breeze to take off at the end of the night. Around Black Friday, Sephora had a set with the mascara and primer for $12. I didn't realize at the time that this came with the original, not the amplified, mascara. This leaves my lashes so freaking hard it actually hurts. The primer makes the situation about 10X worse. After this bad (and painful) experience, I've moved onto another brand. So long, Blinc! 5. 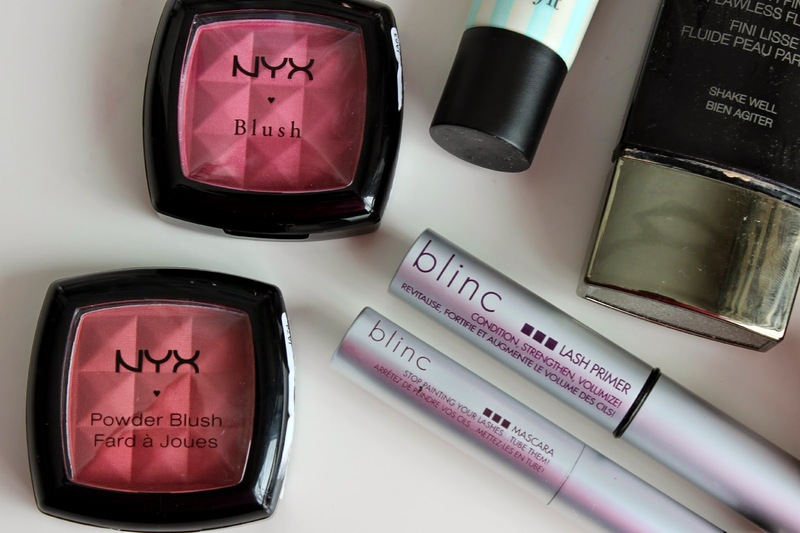 NYX blushes: I swear every Youtuber raves about the NYX brand. It's not the easiest to come by here in Canada, so when I saw these, I grabbed two in gorgeous pinky-corally colours. They apply very nicely to the cheeks, and the colour is just as amazing in person. The only problem is that the product doesn't last at all. Within 4 hours of wear, my cheeks are completely bare again. I've never had this problem with blush before. It's still nice if you just need to go out for a bit, but it was such a let down. What hyped products let you down?